Leaving aside the lame attempt at a Shakespearean quote, the question of whether to over cater or under cater is one that has troubled event planners since the days of the Bard. Whether catering for a post Shakespearean dinner at the Globe, or laying on a large corporate event in Athens as we did recently, event organisers find it a real challenge to predict with 100% certainty just how many guests will turn up. Cancellations, drop outs, non- arrivals – whatever the reasons, it’s difficult. No host wants to appear mean and run out of food, but equally, mountains of unused food not only has a bearing on a budget but feels wholly wrong from a moral and ethical point of view. Fortunately however, an answer appears to be at hand. Athens is at least one city that is trying to address the problem of its people going hungry. As we all know, Greece has had tremendous economic problems in recent years, and it’s not just the homeless that often don’t have enough to eat. It is therefore even more impressive that in the cradle of civilisation people are coming together to make sure no-one goes hungry. 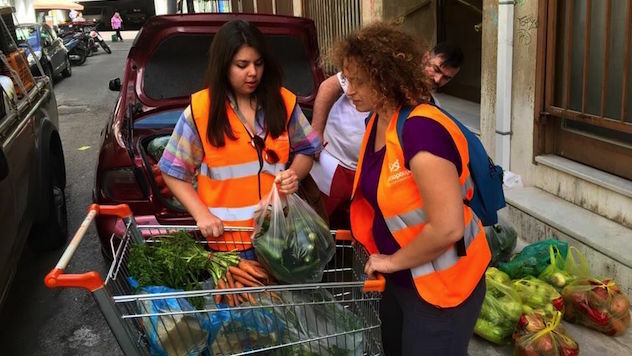 Across greater Athens, a charity called Boroume (translates as We Can) is working with over 600 institutions from bakeries, supermarkets, and fast-food chains to old age homes, orphanages, church organisations, and municipal services to deliver unused food to those who need it most. What began in May 2011 as an attempt to link agencies and people who needed food with producers and shopkeepers has burgeoned into a flourishing network that operates all over Greece and has donors throughout Europe and North America. So how does this impact event planners working in Athens? Well, many of the hotels and venues we use have signed up as partners of Boroume and they ensure that any leftover food from events gets to the people who need it via the twice a day collection that Boroume organises. However, some hotels have gone even further. The chefs in the kitchens at The Grande Bretagne Hotel in Athens, our choice for the large corporate event, cook an extra 10% over and above the food requested just so that there is plenty for Boroume to collect. 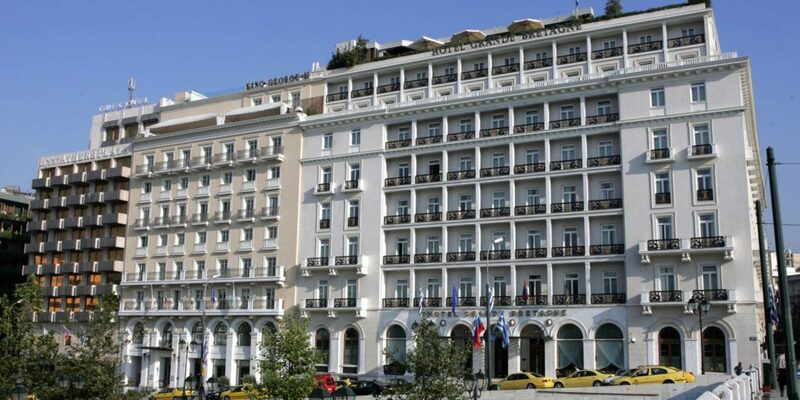 The Grand Bretagne Hotel in Athens cooks 10% more food for events than ordered to ensure there is left over food for the needy. As an event organiser this doesn’t really help in judging catering in the first place, but it certainly makes us and our clients feel a lot better if we do find we have over catered, knowing that the leftover food is not going to waste, but is guaranteed to reach those who need it most. Need tips or advice on how to judge that catering number for your next event? Give us a call on 01372 458777.